Ringel joins a small group of only 57 awardees in receiving the honor throughout Ohio State history. He was accompanied at the surprise announcement in Dreese Lab lecture room by colleagues, current and former undergraduate and postdoctoral students, his brother Matt, son Brett, and wife Geneva. Faculty nominations are typically submitted by department chairs to college deans. Ringel was nominated for this year’s honor by Johnson, ECE chair. Ringel’s research interests include electronic materials and devices based on compound semiconductors with applications in photovoltaics, integrated electronic-optoelectronics, RF and power devices, and energy harvesting. He also investigates epitaxial growth strategies for compound semiconductor-Si integration, as well as wide-bandgap semiconductors and devices, and advanced defect characterization methods. Ringel also studies global innovation, and translational research between academia and industry. Ringel is the author or co-author of more than 150 journal articles. He has participated in more than 260 conference proceedings and presentations, and was invited to speak at about 150 lectures and colloquia at international conferences and professional organization throughout North America, Europe and Asia. He served as an editor of three books, was invited to contribute to four book chapters, and has filed three patents, with two issued. With the permanent award, Ringel earns a one-time, $30,000 grant to support his academic work as he maintains his regular program of teaching, scholarly work and research. Like previous awardees, he also automatically becomes a member of the President’s and Provost’s Advisory Committee. Ohio State named two Distinguished University Professors in 2017. Honoree Clark Larsen, professor of Anthropology, History, and Evolution, Ecology and Organismal Biology, is an authority on bioarchaeology, whose research focuses on the human condition through the last 10,000 years of human history, as viewed from perspectives of health, quality of life, adaptation and lifestyle. Also honored that year, David Weinberg, Henry L. Cox Professor and Chair of the Department of Astronomy, is a theoretical astrophysicist studying galaxy formations and large-scale structure and observational probes of matter and energy content of the universe. Ringel was previously named a 2015 Ohio State Distinguished Scholar. That award recognized his scholarly work in wide bandgap semiconductors and photovoltaics, as well as his leadership roles at IMR and as the Principal Investigator of the Materials and Manufacturing for Sustainability focus area of the Discovery Themes Initiative. 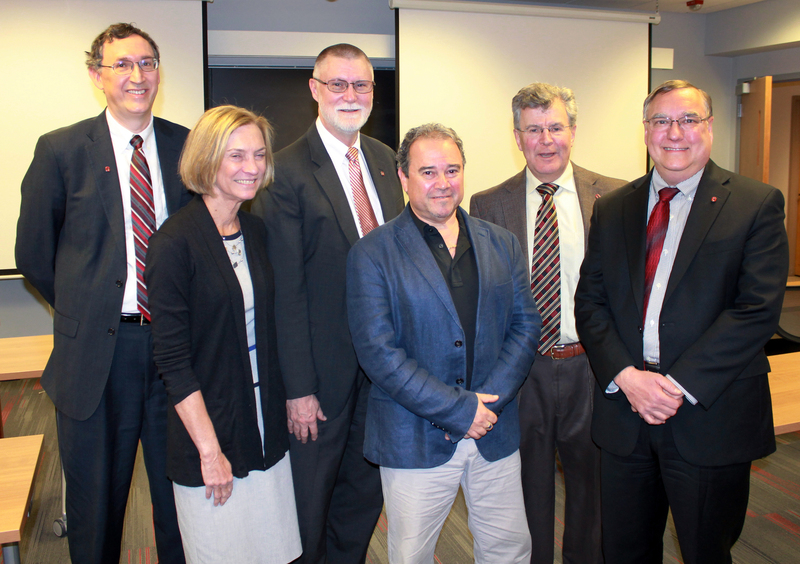 Two Distinguished University Professor honorees were chosen this year. The other is chosen but not yet named. Honorees are recognized in the fall during an Ohio State Buckeyes football game, and by the Ohio State Board of Trustees.